The Superdry brand has attained international recognition thanks to its wide appeal, capturing elements of both "preppy" and streetwear designs with a subtle combination of vintage Americana and Japanese imagery. Superdry offers T-shirts, jeans, sweaters, joggers, hoodies, jackets, shirts, rugby shirts, polo shirts, footwear, as well as bags and accessories. Superdry currently has 76 UK standalone Cult and Superdry retail stores and is sold in 91 countries worldwide. Superdry has enjoyed celebrity-generated publicity from the likes of David Beckham, Zac Efron and Helena Christensen, to name but a few. Aftershock is a luxury British brand and is one of the leading designers, retailers and manufacturers of exquisite hand-crafted womenswear and accessories. Aftershock's fashion signature is the use of exuberant colour schemes and beautiful design work and offers an array of the finest intricately beaded ladies wear, casual wear as well as stunning accessories to complement the collection. Celebrity followers include Madonna, Helen Mirren, Charlotte Church and Katherine Jenkins to name but a few! Since 1969, Gap has provided customers with clothing and accessories that enhance personal style while providing great value and service. With a focus on selections for going to work, going out and the weekend, Gap offers a range of options from fashion clothing and accessories, to wardrobe staples such as denim, khakis and T-shirts for men and women. What began as one brand has grown to include Gap, GapKids and babyGap. For those of you who want up-to-the-minute fashion at affordable prices, M&Co. is the store for you! Offering all the latest looks for the whole family, including petite and plus sizes for the ladies, and with new collections arriving daily - there couldn't be a better time to shop for those fashion essentials. For those who would like to create a new look for your home as well as yourselves, take a look at the fantastic homeware range! 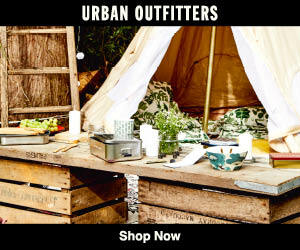 Urban Outfitters stock a mixture of brands and boutique labels for both Women and Men as well as accessories, kitsch homewares, music and novelty items that prove to be popular fun presents and unique gifts appealing to all age groups. The product range also includes eco-friendly clothing made with organic cotton and renewal fashion that has been developed from a mixture of vintage fabrics and styles made to create one off pieces. Womenswear also stocks 'Boutique' - a collection of high end diffusion labels such as See By Chloe, Anglomania, Paul & Joe Sister, Tatty Devine and Luella. Whilst the Menswear range includes sort after brands such as Lyle & Scott, G Star, Penguin, Fred Perry, Nike and many more. 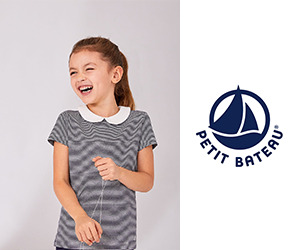 Established in France in 1893, Petit Bateau has been making high quality, stylish clothing for the whole family for 121 years. The luxury brand started with classic cotton underwear and is famous for their iconic yellow raincoat and chic breton stripes. Musto are specialists in high-quality sailing, shooting and equestrian clothes and accessories. Established in 1965, Musto was founded by Keith Musto, a British Olympic sailor and engineer, who combined his sports and technical expertise to create products to withstand even the most extreme conditions. Keeping athletes warm, dry and comfortable. 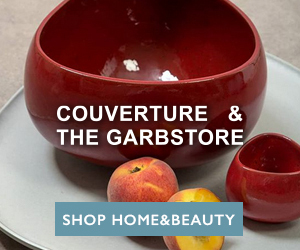 Couverture & The Garbstore is an independent high-end outfitter based in Notting Hill. Selling womenswear, accessories, childrenswear, homewear and its own menswear brand The Garbstore. 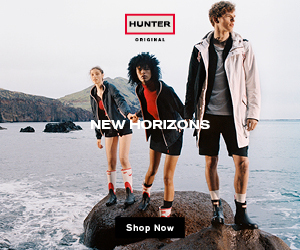 Designed to be outstanding in any field, from city streets to music festivals and rugged countryside, Hunter footwear is recognised for its performance, durability and comfort - achieved through a fusion of tradition and technology. Wellies, clogs and shoes as well as umbrellas, socks, coats, bags, hats, gloves and more.